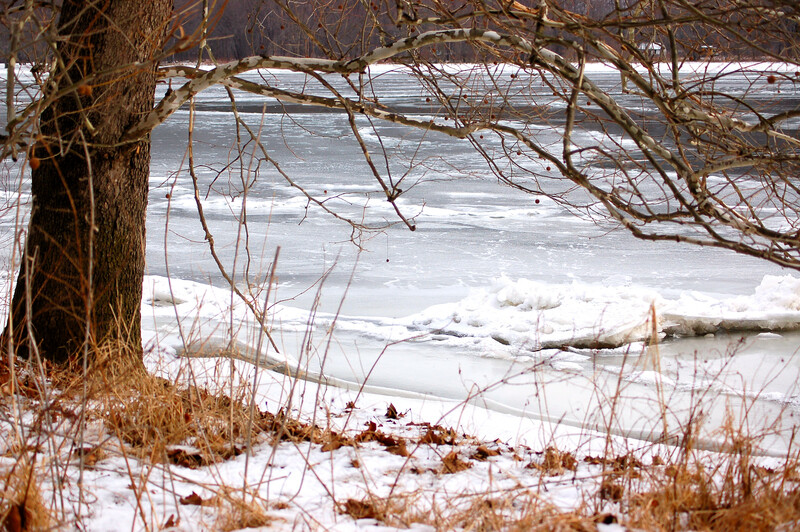 I decided to check out the Allegheny River hoping for photos of Bald Eagles. I was somewhat surprised to see over ninety point nine percent of the waters north of Kittanning, Pennsylvania covered with ice. 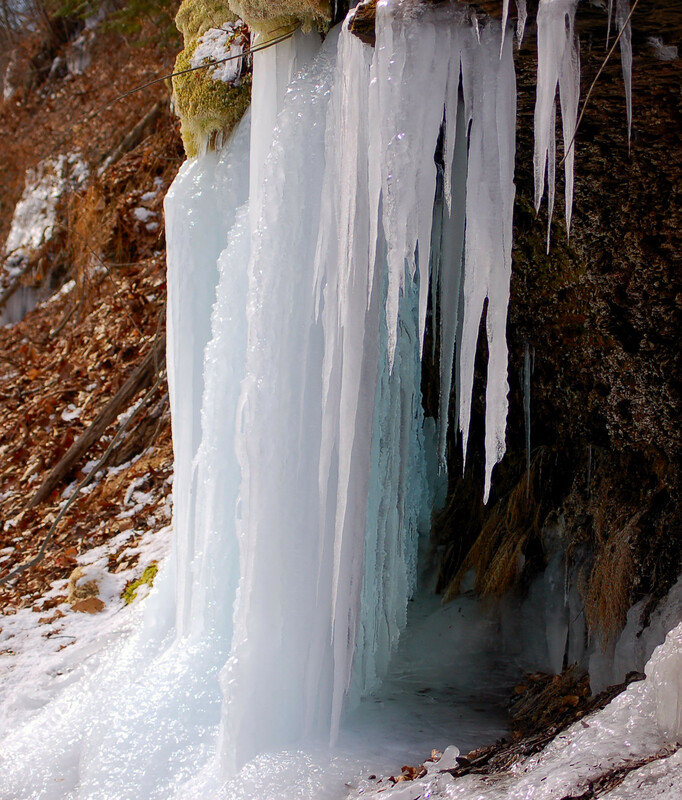 The ice varied in thickness and color. 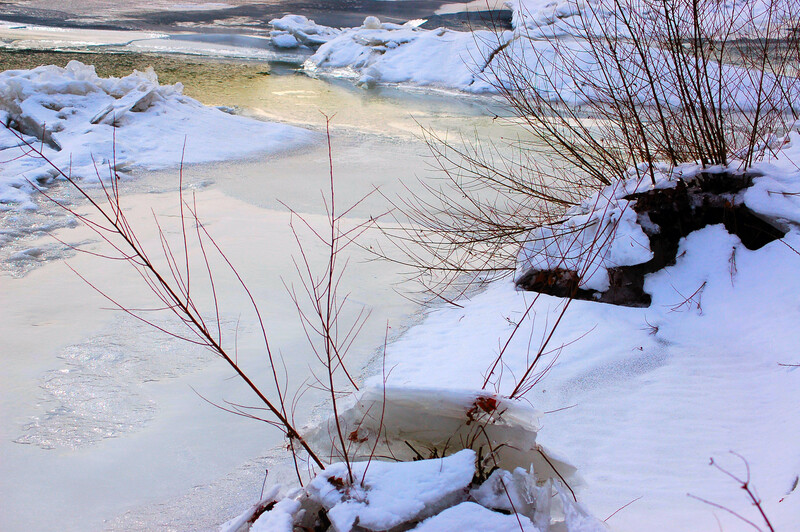 Much of the ice was white and thick, but some areas were thin for one could see the water color underneath. I knew eagles would, most likely, be near Kittanning where the water was mostly open. However, I decided to hike along the shore of the river to see whatever I could see of interest prior to descending south. I quickly, noticed coyote tracks as the animal searched for things to eat. 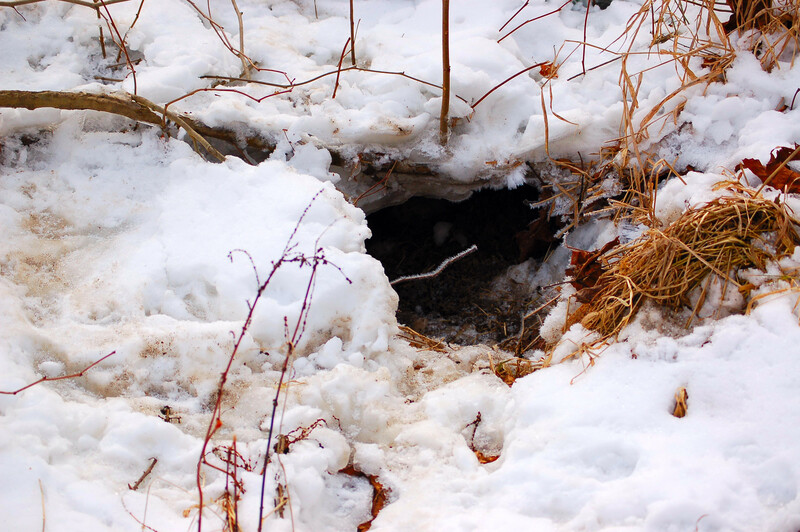 I found where a beaver was using a hole to emerge under the ice and brush along the bank. Trails were well used, but, the critter didn’t venture very far on the excursions. I traveled about a mile north before returning along a railroad track. I watched two fishermen fish in some open water at a dam. I didn’t see any trophies being hauled in. 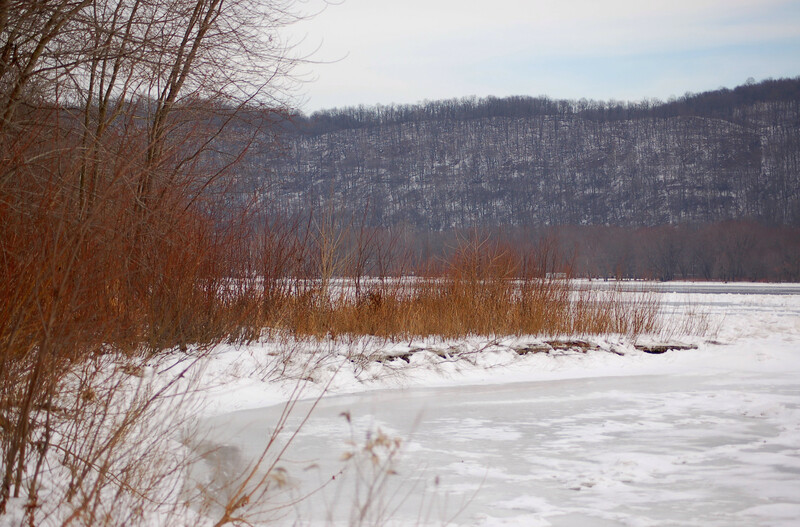 I began to head south to the Kittanning area where lots of open water was present. I knew any eagles in the area would be around this site. I pulled in a wide area seeing a man with a spotting scope watching waterfowl. I exited my jeep and started towards him when a shadow flowed along the surface to my right. I immediately looked up to see a mature bald eagle approximately thirty yards away. The big bird flew south not allowing for any photo. 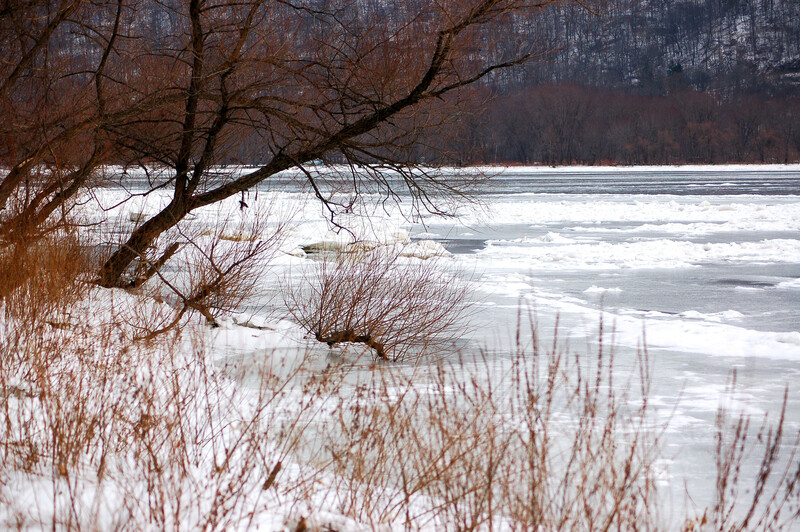 Gulls; mergansers; mallards; canvasbacks; Goldeneye, at least, were visible. other species may have been out in the water, but unidentifiable at the range. 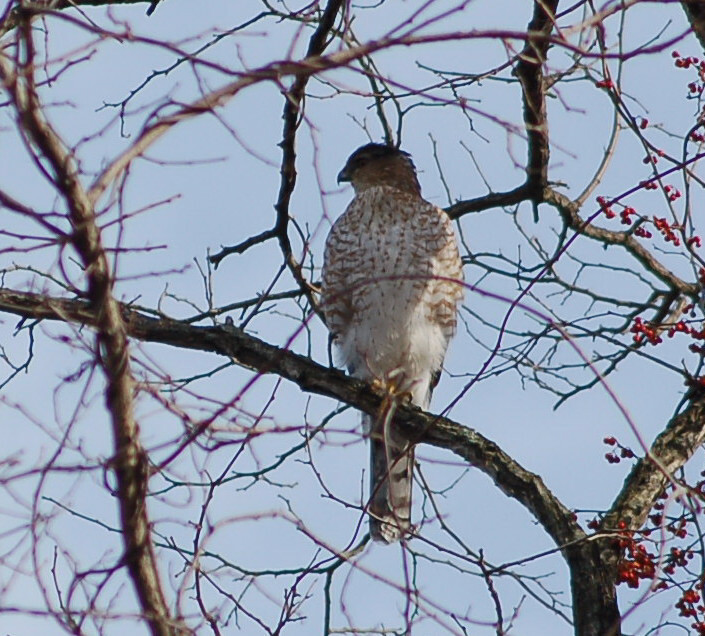 I later spotted a Cooper’s Hawk perched among some limbs.